/ Modified dec 26, 2017 8:02 a.m. 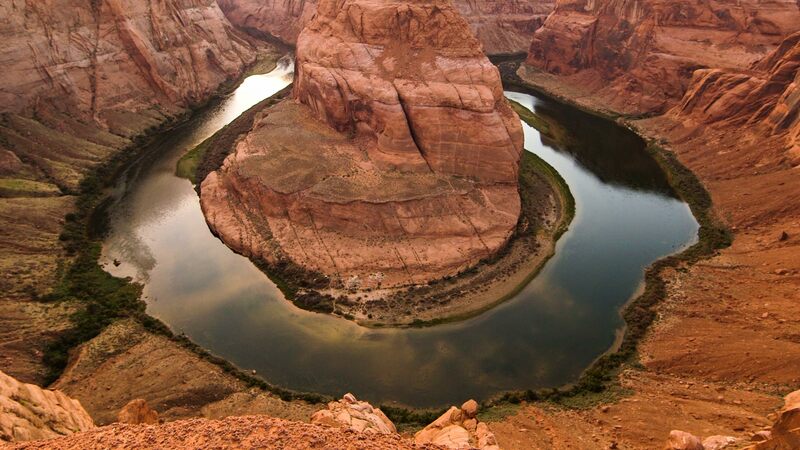 Horseshoe Bend, Colorado River, Arizona. As usual, the big environmental story in Arizona in the past year was water. First, we have to journey back to 2016 when years of an extended drought and poor snowpack led the US Bureau of Reclamation to forecast a 50/50 chance of a shortage being declared on Lake Mead in 2017. Last winter covered the Rockies with heavy blankets of snow, which, as days turned warmer melted and raised the water level on the Colorado River, averting a shorage. In its annual forecast in August 2017, Bureau of Reclamation said that there is a zero chance of a shortage being declared next year - which is big for Arizona, the state that will take the biggest cuts to its allocations of Colorado River when a shortage is declared. How will this year's snow measure up? Check back next spring. Another big story of 2017 also to pertains to the Colorado River. The U.S. and Mexico reached an agreement (Minute 323) to share river water and shore up the levels on Lake Mead. Both countries have agreed to take cuts in the events of a shortage and will leave water in the reservoir during times of surplus. Part of Minute 323 requires that basin states on the US side adopt drought contingency plans, which none has but negotiations are ongoing. Arizona officials say their goal is to finalize their plan by August - we'll be following that story in the year to come.